For anyone who works with any type of climbing wall, from home based to a massive bouldering centre, one of the most frustrating and annoying jobs is washing the holds. Benky Grip Wash makes that job much easier, removing the need for a power washer, thus saving power and water, and eliminating hours of repetitive work. Mix GRIP WASH 1:1 or 1:2 with cold water. Immerse the holds in the washing liquid and ensure that all holds are covered with the liquid. After 5-15 minutes take the cleaned holds out of the GRIP WASH bath, allow the excess GRIP WASH to drip off into another container and then rinse with cold water. Leave to dry. Due to the heavy use in climbing parks it might be necessary to use a pressure washer as well, to get the holds free from dirt. With one 10 Litre container of BENKY GRIP WASH you can clean up to 1200 holds per hour. 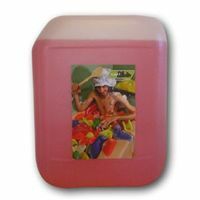 One 10 Litre container of BENKY GRIP WASH will clean up to 3000 holds.